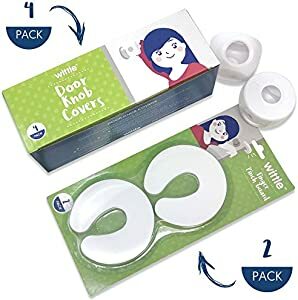 Amazon Giveaway: Wittle Door Knob Safety Cover - 4pk Plus Finger Pinch Guard - 2pk. Door Safety Kit for Kids, Toddler and Baby. Child Proof Door Lock Keeps Kid Out While U Shape Foam is a Great Door Slam Stopper! Wittle Door Knob Safety Cover - 4pk Plus Finger Pinch Guard - 2pk. Door Safety Kit for Kids, Toddler and Baby. Child Proof Door Lock Keeps Kid Out While U Shape Foam is a Great Door Slam Stopper!